Neurosurgery is a medical specialty concerned with the prevention, diagnosis, treatment and rehabilitation of disorders that affect the entire nervous system including the spinal column, spinal cord, brain and peripheral nerves. Neurological diseases and injuries can affect persons of any age, gender or ethnicity. Each condition is unique and complex, presenting a set of challenges that can be physically and emotionally overwhelming for patients and their families. Hydrocephalus – Abnormal accumulation of cerebrospinal fluid in the cavities of the brain. NPH (normal pressure hydrocephalus) – Abnormal accumulation of cerebrospinal fluid in the cavities of the brain that puts pressure on the brain and interferes with healthy brain function. Spinal stenosis – Narrowing of areas of the spine creating pressure and discomfort. Ulnar entrapment syndrome – Compressed nerve in the arm. There are many warning signs for neurological disorders and conditions. If you experience any of the symptoms listed below, be sure to contact your doctor immediately, or consult with a neurosurgeon at United Regional. Discectomy and microdiscectomy – Surgical removal of ruptured or herniated disc material in the spine. Extreme lateral interbody fusion (XLIF) – Minimally-invasive spinal fusion surgery to treat leg or back pain. The procedure is performed through the patient’s side to avoid major back muscles. Kyphoplasty – Minimally invasive surgical procedure using a balloon to restore height and shape to compressed vertebra in the spine. Laminectory – Spinal operation to remove part of the vertebral bone (lamina). Laminoplasty – A treatment for spinal stenosis through cutting the vertebral bone (lamina) and relieving pressure on the spinal cord. 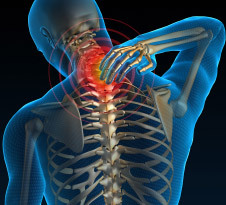 Peripheral nerve release – Surgical procedure to remove pressure from the peripheral nerve in the spinal cord. Sympathectomy –Surgical cauterization of the sympathetic nerve to eliminate excessive sweating or blushing. Trans sacral lumbar interbody fusion– Minimally invasive surgical procedure where the front part of the lumbar is fused from below to treat painful disc generation in the spine. Vertebroplasty – In order to stabilize a fractured vertebra, bone cement is surgically injected into the fractured area of the spine. X-stop spacer– A surgical implant that lifts vertebra off of a pinched nerve in the spine to relieve pain. Craniotomy – Surgical procedure under the bone flap of the skull to remove a tumor, clot or aneurysm. Intracranial pressure monitoring – A surgically implanted device in the brain to monitor pressure levels and send them to a recording device. VP shunts – Cerebrospinal fluid is surgically shunted from cavities in the brain into the abdominal cavity to relieve pressure. To find a physician in this medical specialty, please visit our Physician Directory,or contact United Regional Call-a-Nurse at (940) 764-8570 or (800) 982-9799.